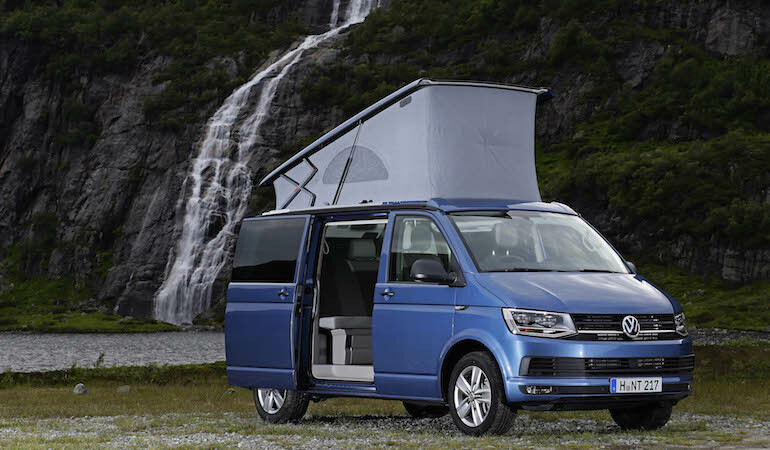 Discover your Volkswagen California now! Create your ideal California Beach on MyCalifornia.eu. The Beach has space to seat seven and sleep with four. 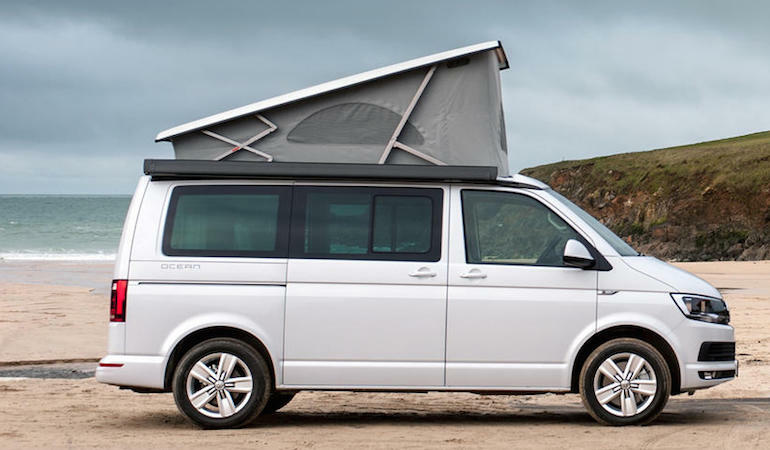 With the flexible California Beach you are always ready to travel in comfort. Available from € 35.000 (excl. VAT) plus Cruise control, Park distance control, privacy glass and one extra key included for free. Our calculated starting prices are based on a 150 hp 6-speed manual transmission. On top of this, you can add the MyComfort or MyComfort+ option package for the full experience. The California Coast is suited with aluminium storage units, the familiar kitchenette featuring a gas hob, sink and a 42-litre fridge taking the extra space. Available from € 37.000 (excl. VAT) plus Cruise control, Park distance control, privacy glass and one extra key included for free. Our calculated starting prices are based on a 150 hp 6-speed manual transmission. On top of this, you can add the MyComfort or MyComfort+ option package for the full experience. The complete Ocean adds auxiliary heating and a climate-controlled cabin, double glazing and neat kit such as an electric roof and LED interior lighting. Available from € 42.000 (excl. VAT) plus Cruise control, Park distance control, privacy glass and one extra key included for free. Our calculated starting prices are based on a 150 hp 6-speed manual transmission.On top of this, you can add the MyComfort or MyComfort+ option package for the full experience. You compose your perfect vehicle with our easy configurator. Fill in your personal information and send the order request. This does not obligate you to anything. Once we receive your vehicle request we will send you the best offer you can get anywhere in the world! If the offer is to your liking you sign and return it to us. After your 15% deposit is received we will order your vehicle. When your car is ready out of production, you can safely pay through a bank transfer (including bank guarantee). 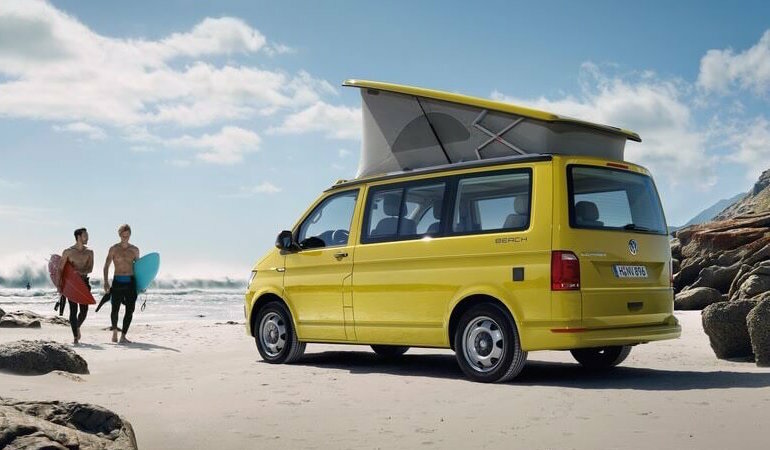 Once payment is done your Volkswagen California will be made ready for pick-up or drop-off. You can easily pick-up your vehicle near airport Schiphol or airport Eindhoven. Your choice! We provide the right documentation and registration so you can drive home safe! Rather have your vehicle dropped off at your house? No problem! MyCalifornia.eu wants to offer a fair price, so that the legendary California Camper is available for every traveler, explorer and California lover. Our team has years of experience and expertise with all types of Californias. Now, we have found the best deal on new Volkswagen Californias and commercial vehicles (on request). On top of that, we offer a range of extra options for free, like Cruise Control and Park distance control. We will guide you through the whole process of ordering and bringing home your new California.